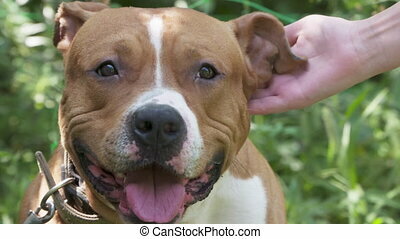 American staffordshire terrier pitbull dog face closeup. 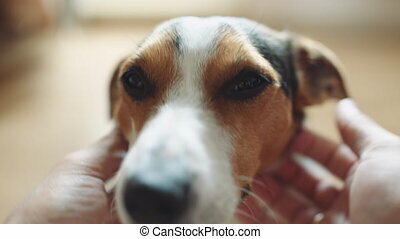 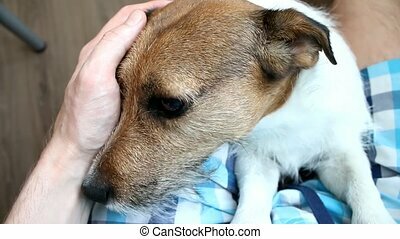 Girl's hand stroking the dog's head. 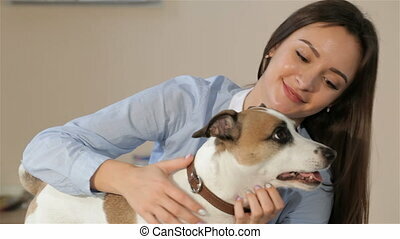 Young pit bull white and brown color sitting on a grassy lawn. 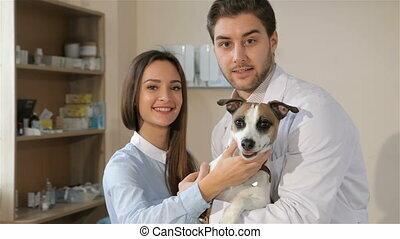 Smiling amstaff looking at the camera. 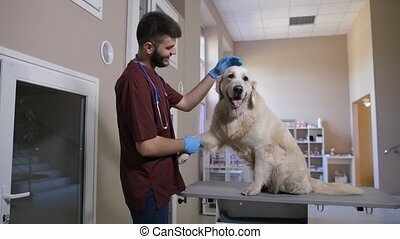 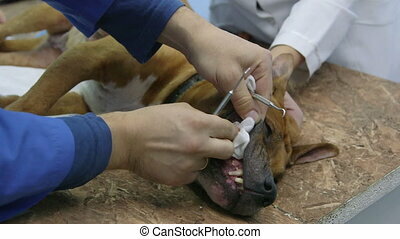 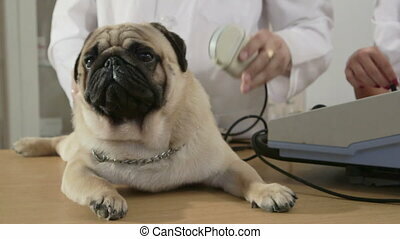 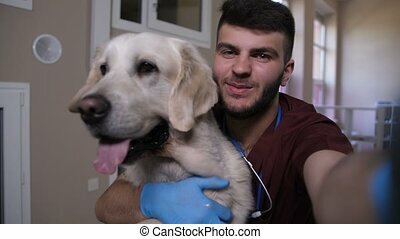 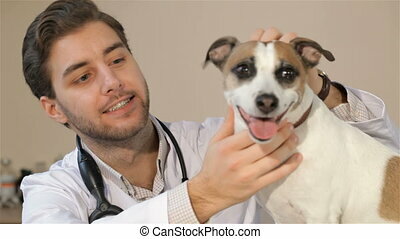 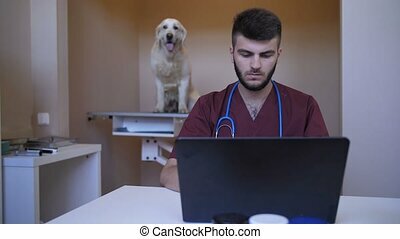 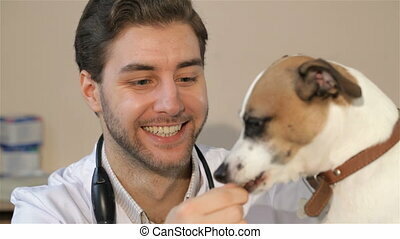 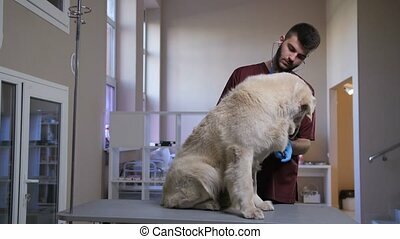 Young handsome vet doctor making selfie with his dog patient at pet care clinic. 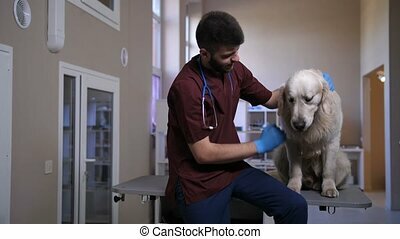 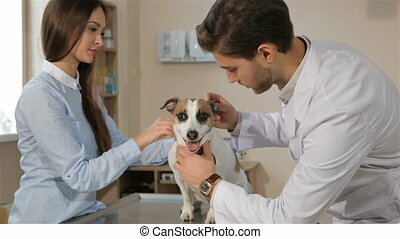 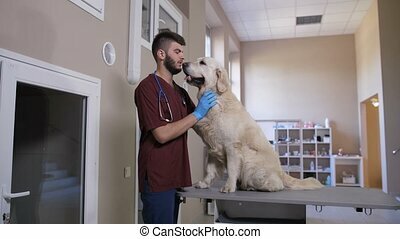 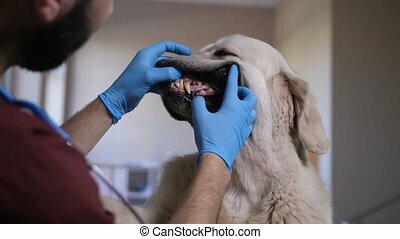 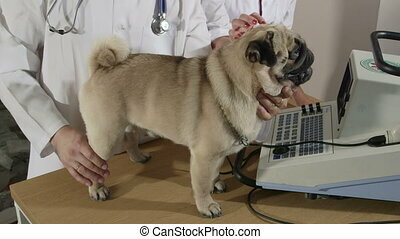 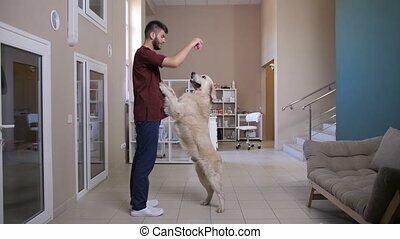 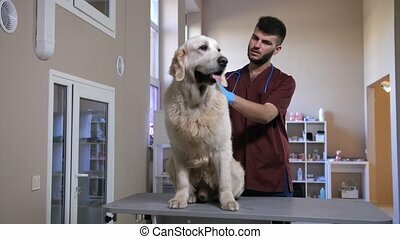 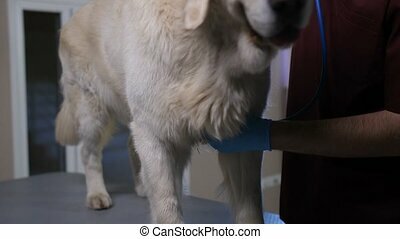 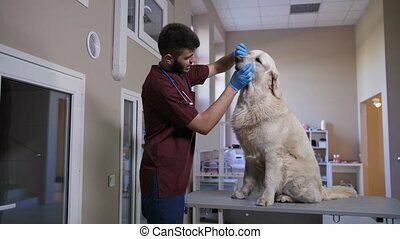 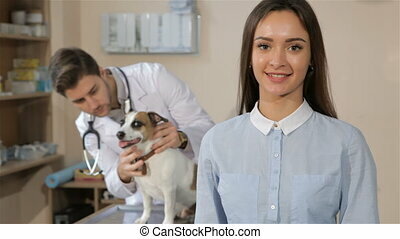 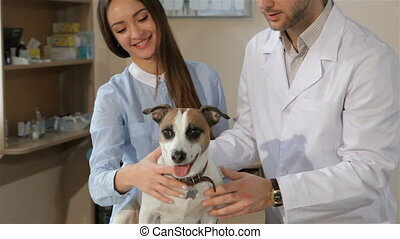 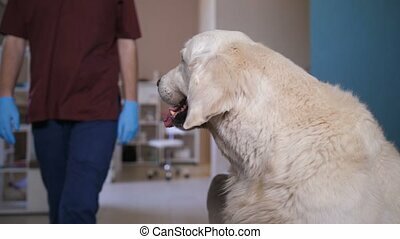 Veterinarian posing on self portrait photo with beautiful golden retriever during patient checkup visit.